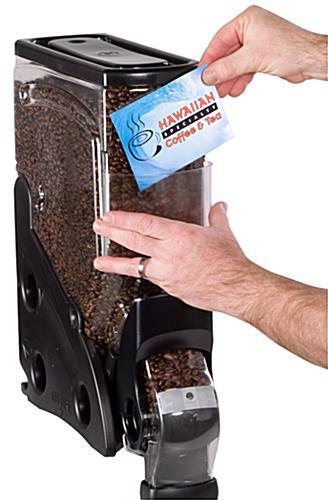 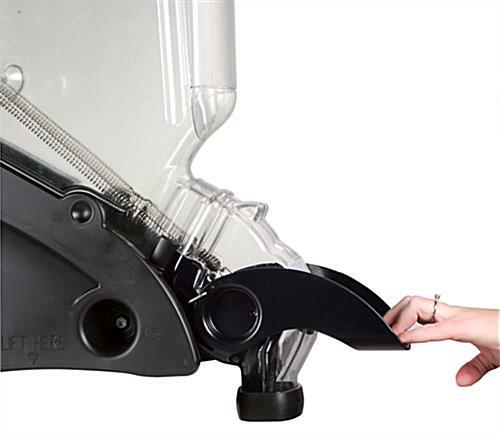 This gravity dispenser has an attractive black handle that easily opens and closes the continuous pour. 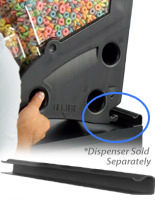 As a result, the food bins are extremely intuitive and easy to use. 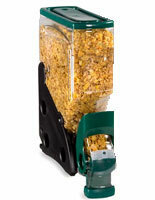 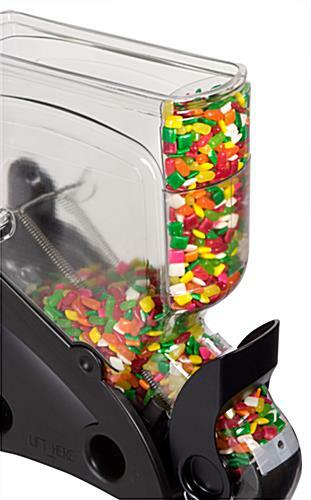 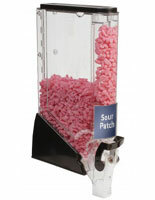 The gravity dispenser features adjustable pins that allow the user to change the speed at which goods are dispersed. 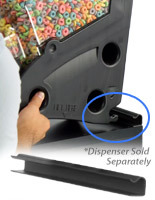 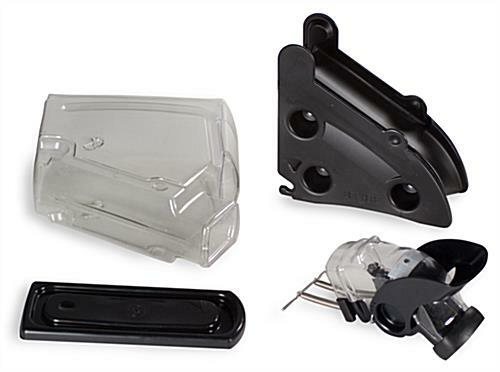 The housing is crafted from see-through polycarbonate plastic. 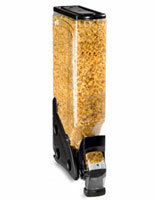 This material is up to 35 times as strong as acrylic, so there is no worry of chipping or cracking. 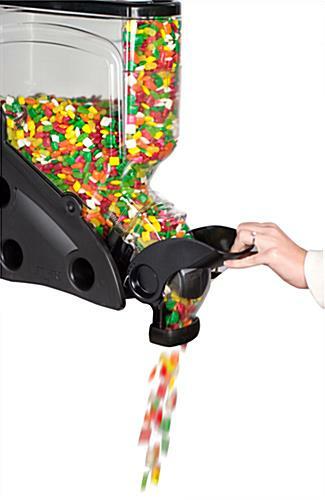 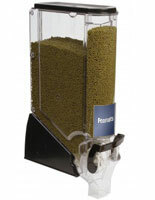 Our gravity dispenser accommodates 3 gallons which is ample for most applications.